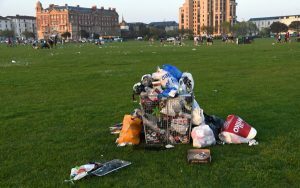 Clean up groups have hit out at “selfish” litterers warning that people must pick up their own rubbish because councils cannot afford to. 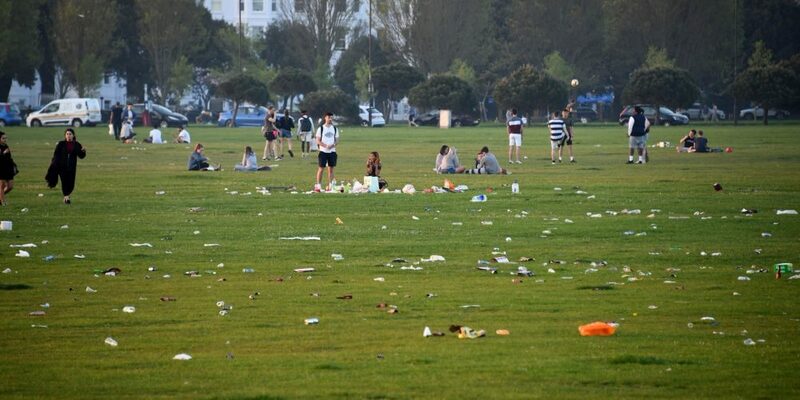 The scorching bank holiday weather drove people to parks and beaches across the UK, but what was left behind was a sea of litter. Cleaning campaigners have now urged people to stop being “irresponsible” and take their litter home as councils can no longer foot the bill. John Read, founder of Clean Up Britain, said: “It’s time that we start to enforce the laws on those who repeatedly drop litter, the clean up cost is something that council’s cannot afford and people really need to start taking some responsibility for their actions. “Some councils are on the brink of bankruptcy, it’s time people took their share of the blame for rubbish. “People should be ashamed of their irresponsible and selfish behaviour that has turned Britain into a filthy country. In 2016 – 2017 it cost local authorities £682 million to keep our streets clean. Last month councils across England were given the power to raise fines for dropping litter from the previous ceiling of £80 up to £150. On Twitter one user posted a picture of Shoreditch park strewn with litter. 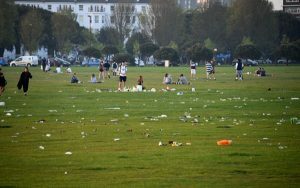 Other Twitter users also voiced their anger over the mess that has been left in their local green spaces. 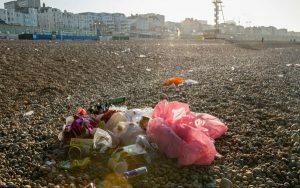 Keep Britain Tidy chief executive Allison Ogden-Newton explained that whilst it was wonderful that the warm weather had seen people enjoying the outdoors, it was the act of “thoughtless people” who deemed it acceptable to damage the environment for everyone. 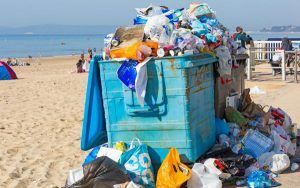 Keep Britain Tidy estimate that the cost of cleaning up litter, as well as local authority street cleansing and fly-tipping removal is likely to be costing councils close to £1 billion a year. Speaking last month on the increased littering fines, environment Minister Therese Coffey said: “These new fines will tackle anti-social behaviour by hitting litter louts in the pocket, whether it’s litter that is thrown from a vehicle or dropped in the street. 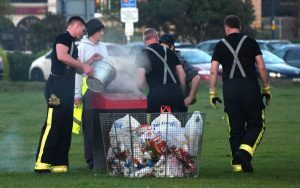 Warnings were also put out by local firefighters after multiple calls were made to bins on fire after people had thrown away their reusable BBQs into bins and skips.